Hundreds of Syngenta Genetically Modified Corn Seed Sales lawsuits have been filed nationwide, claiming Syngenta knew, or should have known, that its genetically modified Viptera corn seed (Agrisure Viptera or MIR 162) and Duracade corn seed would contaminate US corn shipments and prevent the corn from being sold to export markets, particularly China. Among other accusations, Syngenta Lawsuits raise concern that Viptera can be found throughout the US corn supply chain. Send your Syngenta GMO Corn Seed claim to a lawyer who will review your claim at NO COST or obligation. Engineered by Syngenta, a Swiss agribusiness with operations in 90 countries, the MIR 162 corn trait makes plants resistant to a number of pests such as cutworm. Viptera was sold to US commercial growers in 2011, soon after it was approved by the US Department of Agriculture. This strain of corn seed has been planted in approximately 2.8 million acres of corn fields nationwide. Syngenta has been accused of financially impacting both farmers who purchased Viptera and Duracade and also farmers who did not plant its GMO corn. According to the National Grain and Feed Association, (NFGA), farmers, distributors and exporters suffered $1.14 billion in losses as a result of Viptera corn and Duracade corn between November and August of 2013 alone. NFGA estimates the 2014 season can lose up to $3.4 billion. There are two issues involved in the class action lawsuits against Syngenta. 1. The price of corn dropped due to restriction of exports containing contaminated GM crops that do not have approval in other countries, namely China. 2. 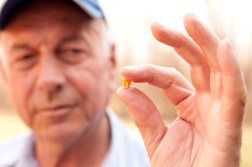 GMO corn cannot be contained—it can be carried (airborne via pollen) to nearby corn fields. There is potential liability traced back to farmers because of unintentional contamination of neighboring fields with pollen from GM plants. Even a small quantity of the contaminated grain can be dispersed throughout the entire corn chain, from elevators to barges to grain trains. Syngenta lawsuits claim the company encouraged side-by-side planting despite knowing contamination risks. More than 1,300 farmers as of February 2015 had filed Syngenta lawsuits in Minnesota State Court, and hundreds more filed in federal court. In February 2014 dozens of Wisconsin corn growers filed a Syngenta class action lawsuit in federal court. Class actions were filed in other states, including Minnesota, Illinois, Iowa, Missouri, Kansas, and Nebraska. A Judicial Panel on Multidistrict Litigation held that lawsuits against Syngenta should be centralized into a single class action in the District of Kansas. In Re: Syngenta Ag MIR162 Corn Litigation, MDL No. 2591 (US Judicial Panel on Multidistrict Litigation filed Dec. 11, 2014) (order granting transfer of class action to United States District Court of Kansas). Contrary to claims made by Syngenta to farmers and others in the agri-business, China did not grant regulatory approval to MIR 162. A Syngenta class action lawsuit claims that Syngenta knew Viptera and Duracade are illegal in China but it still encouraged farmers to plant its GMO corn for export to America' third largest export market. In April 2012 Syngenta Chief Executive Michael Mack said that he expected Beijing to allow export of the GMO corn "within a matter of a couple of days." China found a genetic trait in Viptera, refused to accept further shipments. This caused a glut in the market and the price of corn fell by 85 percent in 2014. The National Grain and Feed Association has asked Syngenta to stop selling its GMO corn varieties. Any corn grower who sold corn during 2013 and 2014 may be eligible to make a claim against Syngenta, whether or not the corn grower used Syngenta AG' seeds. Two of the world's biggest commodity traders, Cargill Inc and Archer Daniels Midland Co., filed lawsuits against Syngenta. Cargill in September 2014 claimed it lost $41 million due to Syngenta seed due to China rejecting its corn. And Duracade corn is still not approved by all major importers. Trans Coastal Supply Co., which exports feed for livestock, also sued Syngenta, accusing the company for $41 million in losses over the GMO seed. Bayer AG agreed in 2011 to a $750 million settlement resolving claims with about 11,000 U.S. farmers who claimed a strain of the company' genetically modified rice contaminated crops and ruined their export value. StarLink corn was accused of contaminating the food supply, which caused food recalls and loss of export markets. Its corn was EPA-approved for animal consumption only but the lawsuit argued that pollen drift and post-harvest commingling constituted a physical injury. The case was settled for $110 million. Syngenta AG is based in the Minneapolis area and has a Swiss parent estimated to be worth more than $24 billion. The company reported 2013 annual sales of $14.7 billion. If you have suffered similar damages or losses, please click the link below and your complaint will be sent to an agri-business lawyer who may evaluate your claim at no cost or obligation. Defending America’s Bread Basket and American.. 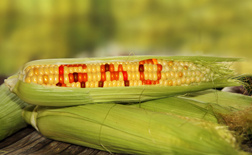 Defendants in Syngenta Lawsuits Pushing for F..
Corn Farmers Case against Syngenta’s GMOs Cou..